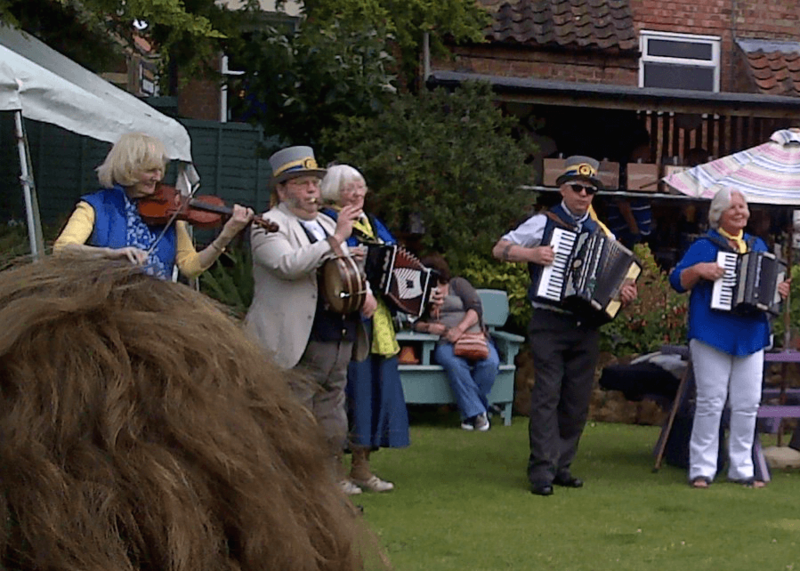 We are members of The Morris Federation, an association of mixed Morris teams, which has about 490 member sides. 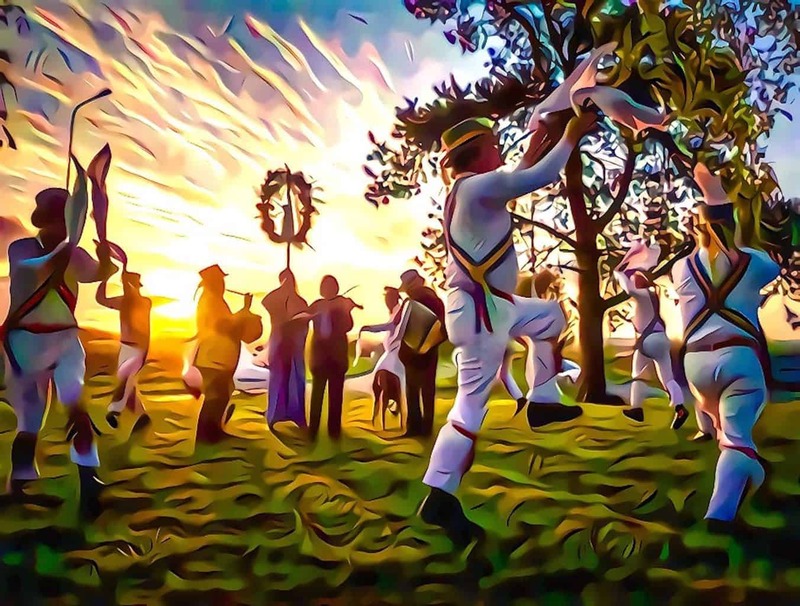 The King’s Morris present dancing tours in North-West Norfolk on bank holidays, and on some Friday evenings in Summer we dance outside local village pubs. 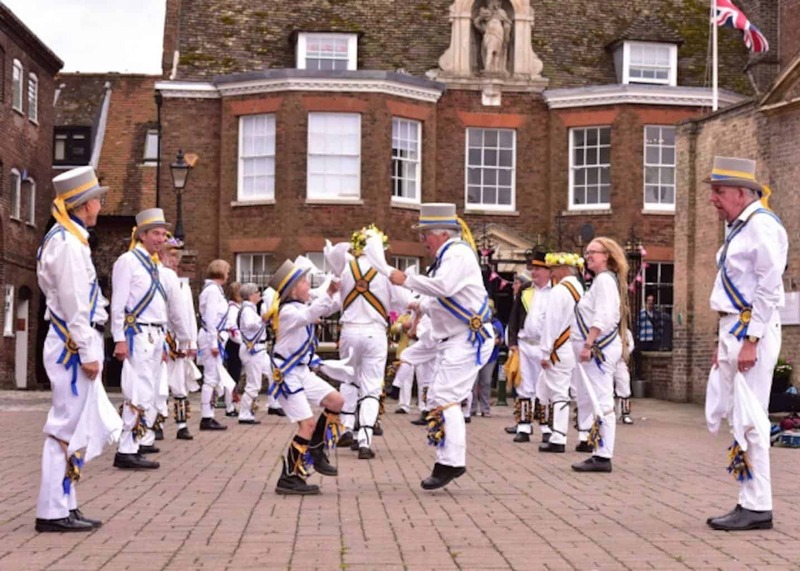 On the second Sunday in September we invite several other dance teams to join us for massed Morris in King’s Lynn (as part of Heritage Open Day). Like many other teams we perform on Boxing Day to mark the “re-discovery” of Morris dancing in 1899 by the folklorist Cecil Sharp. And we take great pride in presenting the traditional King’s Lynn May Garland on May Day. The dancers outfits consist of white shirts and trousers, and light grey top hats. 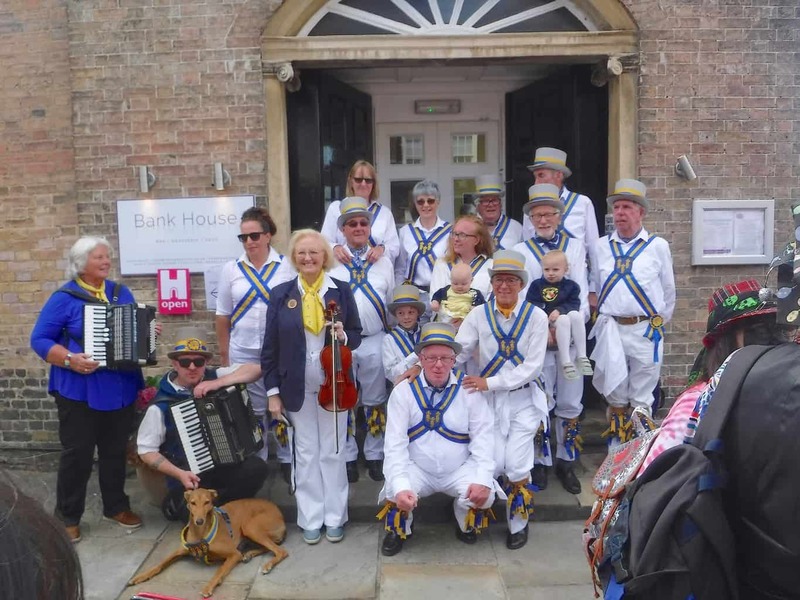 Their baldrics, bellpads and hat ribbons are in the King’s Lynn town colours of blue and yellow. We wear the old heraldic shield of the town, showing three dragons’ heads, on our baldrics. Our musicians perform the traditional dance tunes on fiddle, melodeons, accordion and pipe-and-tabor. Paddy Murfitt just sent us this message…. Written in 1967, by an elderly lady from my village West Dereham in West Norfolk, about her youth some 70 years earlier. 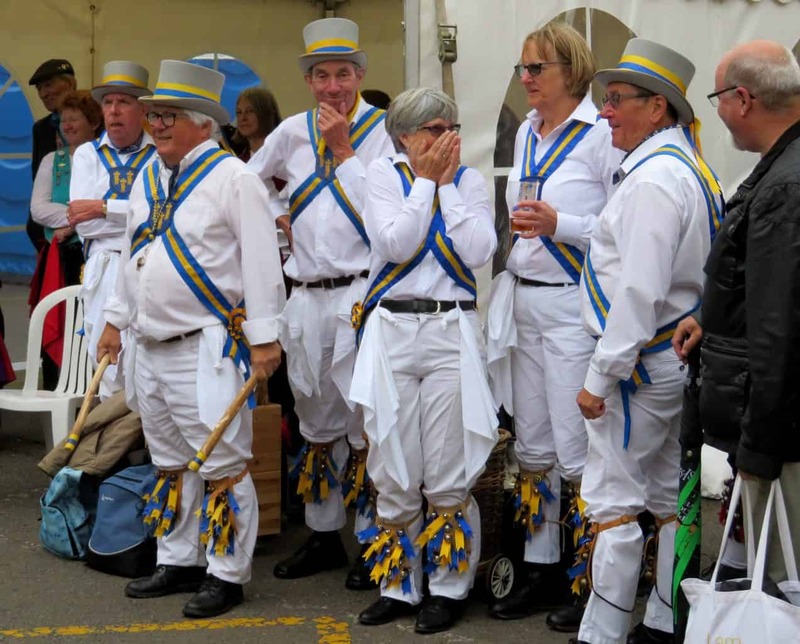 Dancing tonight at he Grand Re-opening of the Crown & Anchor, St Germans…..